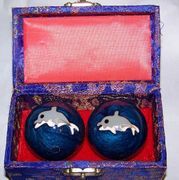 Cloisonne Chinese Therapy balls, 40mm dia. (med size). When rolled around in the palm of your hand are said to hit pressure points that help aid relaxation, stress control, etc. Soothing chimes activated when rolled in the hand. 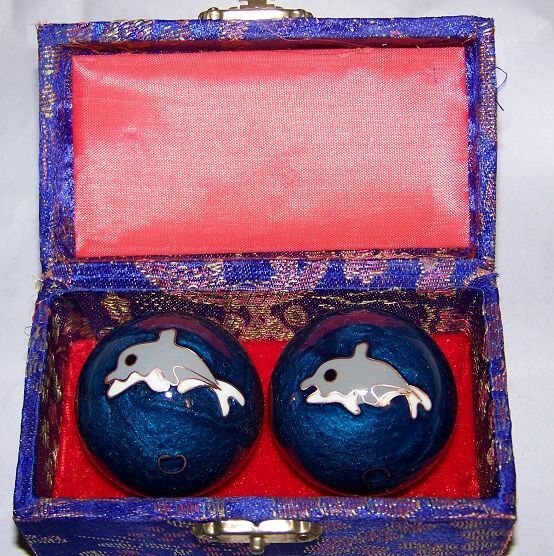 They are housed in a beautiful delicate brocade storage box. Item discontinued but we have 3 AVAILABLE!